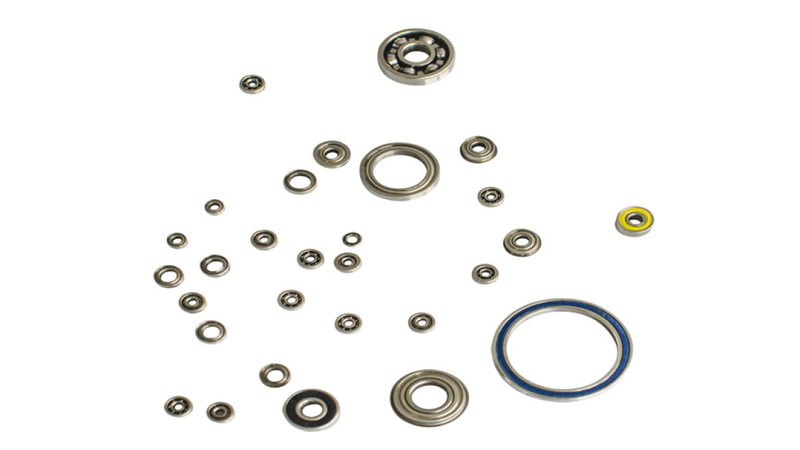 Extra-thin bearings, Bearings with flange, custom designed bearings, Bearings with Teflon seals, and bearings with ceramic balls. The bore sizes are from 1.5mm to 9mm, and British inch from 0.055" to 0.75. Other bigger sizes are available.